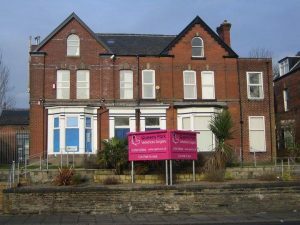 Welcome to Queens Park Veterinary Surgery, find out more about us here. We are an independent veterinary surgery on Chorley New Road in Bolton, just opposite Queens Park. Our surgery is owned by Vet Stuart Edwards, assisted by our team of nurses and our Practice Manager. You can find more information about our staff on our Meet The Team page. There has been a veterinary surgery on the premises here for over 50 years, with previous owner Mr Barton and later Mr Clare. Stuart took over Queens Park in 2006, and has gotten to know quite a lot of you really well over the years. Stuart qualified as a Vet in 1997, so has over 20 years experience in practice, mostly with dogs, cats and small furries such as rabbits and guinea pigs. Our aim at Queens Park is to be the local friendly vets to turn to when your pet needs help. We promise to provide you with the knowledge and treatment options to make the best decisions about your pets health and lifestyle. We are dedicating to ensuring that your pet received the highest quality of veterinary care. At all times we will work with you to create treatment plans both for preventative treatment, and when your pet is unwell or has a medical condition. Our surgery is well equipped to treat your pets, with the usual things you’d expect in a vets. We are able to run our surgery in the way that directly benefits you and your pets as we are privately owned, and not part of a corporation or ‘chain’. We do not have a head office dictating how we look after our patients, that decision and responsibility lies firmly with our Vet, as we believe it should. If you have any questions, or would like to pop in and meet us, please get in touch with our Practice Manager (Nikki) on 01204 525066 who will be able to help.